Fair Isaac Corporation – the company who determines your credit score and sells it to banks – recently released a new credit scoring model called FICO® 08. Many American consumers are wondering how the changes will affect them, how soon those changes will take place, and how to raise their new credit scores and repair credit. GTS Credit has been working diligently to answer the credit repair and credit score questions not being revealed by the score’s makers to help you improve credit opportunities that you receive. The advisory team at GTS Gateway to Success is here to help you acquire the credit image you need in order to achieve your financial dreams and live your life to the fullest. However, once FICO® 08 is in effect, massive credit score declines are predicted nationwide so be sure to keep apprised of your credit score and any changes. While leniency will be practiced on small items, like a missed payment, most people will see a reduction in their score as a result of the tighter restrictions against those of us who owe too much money on our credit cards, thus perpetuating the need to get credit repair, fix credit and improve credit scores through credit repair companies and companies that help improve credit. So, how do you attempt credit repair, or how do you attempt to fix credit and improve credit scores now and in the future? Is credit repair and the ability to fix credit and improve credit still a viable option? The answer is simpler than you may think, far faster than traditional credit repair, and it is far easier than being a good credit steward and merely paying your bills on time. While that is certainly the best method to practice, it may not be enough for you to achieve the loan you need, and they are most certainly not efficient ways to permanently fix credit or improve credit. 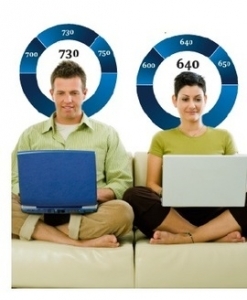 One of the original intentions behind the new credit score model was an attempt to eliminate an effective and legal credit repair boosting strategy called “piggybacking,” a tool that can help people when attempting credit repair. Piggybacking is when one person with good credit rents out an Authorized User spot on their credit card to another person needing to fix credit, for a small fee. Once the renter is added as an AU, the account history – payments, limit, and balance – for the cardholder’s account appears in the renter’s credit file within a few weeks, thereby immediately affecting the renter’s credit score and providing a successful solution for all of us to improve credit and fix credit; ultimately helping our credit score. 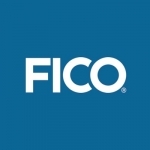 Fair Isaac Corporation permanently approved the piggybacking benefit in the FICO 08 model in July 2008 during a Congressional Subcommittee summit on Credit Education. The confirmation that the piggybacking credit improvement benefit would remain followed legal concerns presented by GTS Gateway to Success Credit to the Federal Reserve and the Federal Trade Commission earlier that year. In the end, pay your bills on time, every time. And if you need a quick way to improve credit or fix credit, piggybacking looks like a good option.